Unfortunately, vocalist Martine Thijs has decided to no longer fulfill her role as leading lady of the band Trisomy. Forced by her personal situation, she can no longer combine Trisomy with her other obligations. "I deeply regret that I have to decide to leave Trisomy. After thorough deliberation, it shows that I can't combine the band with my other obligations anymore. Unfortunately, I have to confine to those other obligations, despite a very pleasant time with the guys. Trisomy is a band with a very promising future and I'm honored that I can say I was part of the band for the past time. I wish Trisomy all the luck and success in the world!" 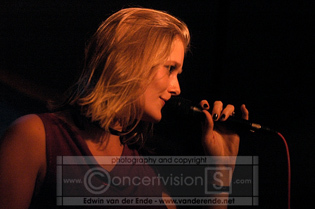 JANUARY 14th will be the last show with Martine on vocals at SALERNO / OOSTERHOUT (NB) / NL. FREE entrance.